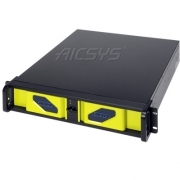 Aicsys's range of 1U rackmount computers comprises of the motherboard and SBC series, both systems with Ultra compact 1U size are the best for applications where rack space is at a premium, allowing for high density installations within a single rack cabinet. 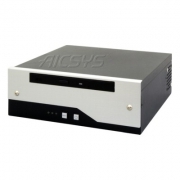 Aicsys 3U rackmount computers comprises of the motherboard chassis (RCK308M and RCK309M), compared to the standard 4U, 3U chassis offers significant space reduction whilst still providing unlimited expansion for system add-on cards. 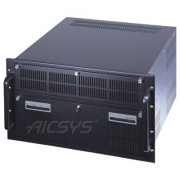 Aicsys’s range of 6U rackmount chassis comprises of the RCK600 series, with the 6U height, the chassis give the users an options for extensive expansions where extremely high levels of system expansion maybe required in the users’ applications. 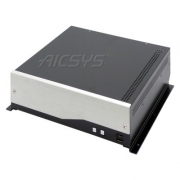 AICSYS Inc Wallmount Chassis supports wide ranges of SBC SingleBoard Computer, Backplanes and motherboards from ATX, Micro-ATX to mini-ITX to meet the demands of customers' requirement for different projects.